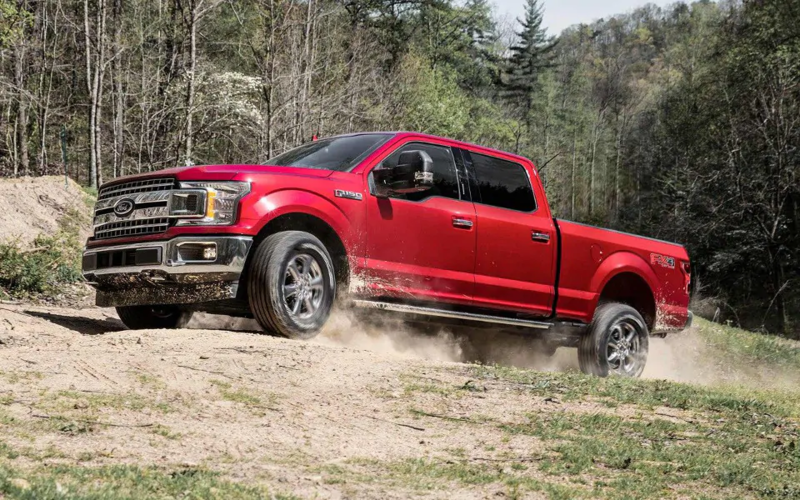 Loyal fans of the Ford F-150 will be impressed by the 2019 model year which marks the introduction of the all-new turbocharged diesel engine. Available for the first time in the F-150, the iconic Power Stroke® badge represents legendary capability and capability for the optional 3.0L Turbo Diesel V6. In total, you'll have your choice of five additional engine options which help you tackle the toughest jobs on your to-do list. Donley Ford Lincoln of Mt. Vernon has assembled this useful guide to help you understand what each has to offer in terms of efficiency, power, and capability. Already have your eye on a new Ford F-150 listed in our inventory? Our special offers and factory incentives make it possible to drive home the truck of your dreams from Donley Ford Lincoln of Mt. Vernon. Our team of experts are standing by if you have any questions or concerns. Even though gas and diesel engines share some similarities, there are some key differences which set them apart when it comes to efficiency and functionality. One important variation between the two is how they achieve combustion. While gasoline engines depend on fuel and air compression assisted by spark plugs to ignite fuel, a diesel engine relies on air compression alone for ignition. Diesel fuel can also create more power using a smaller amount of fuel since it's significantly more energy-dense than gasoline. The result is a combination of energy-dense fuel and high-compression for increased fuel economy. EcoBoost® engines help bridge the gap between gas models and diesel engines by using advanced turbocharging technology and direct fuel injection. Diesel engines deliver torque-focused driving characteristics which are ideal for towing and hauling. All engine options provide a unique blend of horsepower and torque, giving each of them their own individual identity. Have a look at the table below to learn exactly how much horsepower and torque you'll find in each engine. Capability is often the deciding factor between an average pickup truck and a truly exceptional one. 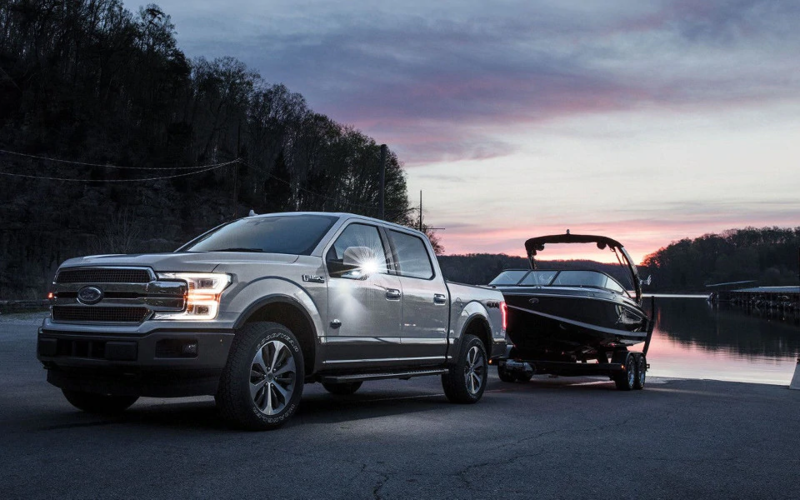 From a hard day at the job site to towing your boat for your annual fishing trip, you want your truck to be up for any challenge. The table provided below will give you a better understanding of what each engine has to offer when properly equipped*. Drivers looking to spend less time and money at the pump are sure to appreciate the cutting-edge engineering solutions found under the hood of every Ford F-150. Optional EcoBoost® and Power Stroke® diesel engine options provide class-leading fuel economy along with impressive performance. 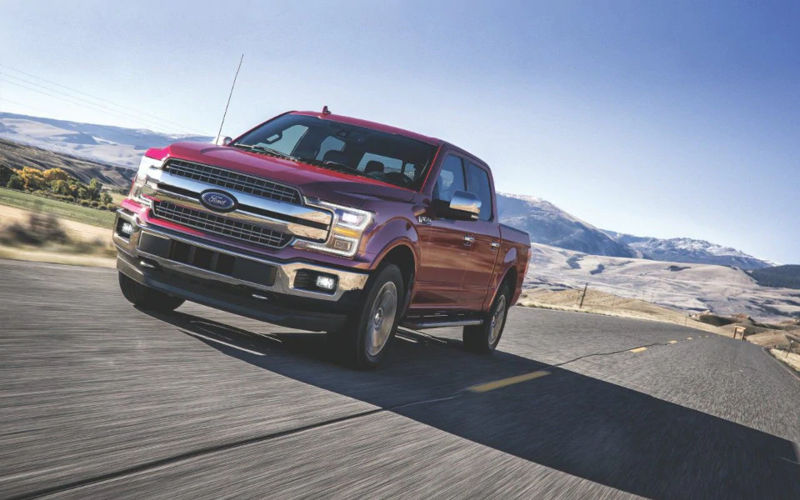 Test Drive a 2019 Ford F-150 in Mount Vernon, OH Today! Ready to see all that a new Ford F-150 has to offer? Schedule a test drive appointment at Donley Ford Lincoln in Mt. Vernon, OH today! Select your favorite model from our online inventory and then schedule a test drive online or by calling our team at (877) 705-9316.